Home » Professionals » Neil Cahn, Esq. Neil Cahn is an AV Preeminent-rated attorney, and is listed in Super Lawyers. A graduate of Yale College and a Law Review graduate of the Hofstra University School of Law, Mr. Cahn has practiced law on Long Island for more than 40 years. Witnessing the tremendous time, cost and damage resulting from contested divorce litigation, Mr. Cahn has actively promoted Collaborative Divorce on Long Island for more than a decade. With the Collaborative Process, both spouses have the support and advice of their own lawyers. However, from the outset, you and your spouse know that your team of professionals is committed to working with you to complete your family’s legal, emotional and financial transition without contested litigation. Mr. Cahn serves on the Board of Directors of the New York Association of Collaborative Professionals and assisted in drafting their Protocols. He has been certified in the Collaborative Divorce process by the International Academy of Collaborative Professionals. Mr. Cahn has also been certified in Family Mediation by the Touro College Jacob D. Fuchsberg Law Center and the Mediation Institute of New York. Mr. Cahn is a member of the Matrimonial Law Committees of the Nassau County and State Bar Associations, the Collaborative Law Committee of the Dispute Resolution section of the State Bar Association and the Family Law Committee of the American Bar Association. He has served as a court-appointed arbitrator for the United States District Court and is a former member of the Nassau County Supreme Court Matrimonial Neutral Evaluation Panel. He is a member of the New York Family Law American Inn of Court and the Association of Family and Conciliation Courts. Mr. Cahn is a past revision author of Matthew Bender’s New York Civil Practice, Matrimonial Actions. 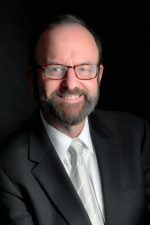 He has served on the Hofstra Law School Adjunct Faculty, and written and lectured for the State University of New York, various bar associations and professional organizations, as well as other lay groups. If a Collaborative Divorce is Right for a Congressman, Why Not You? Learn (How) To Complain During Your Divorce (if you didn’t during your marriage). Divorce Litigation: Can Parents Afford the Real Price? Today’s Divorce Menu: Litigation, Mediation, Arbitration, or Collaboration?